Side note – we got Oklahoma style unlucky with the weather that day. Little wet, little cold. 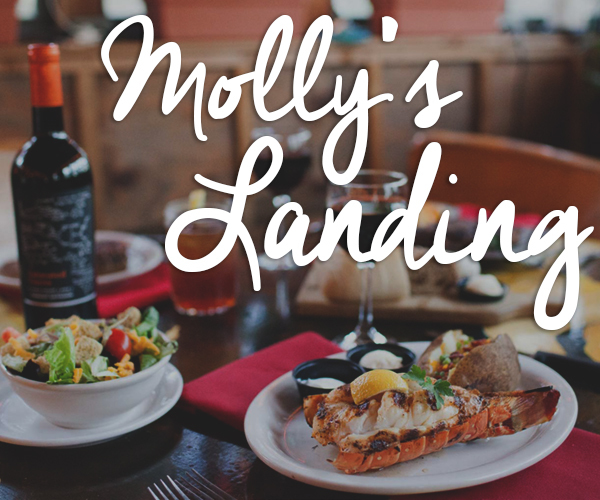 But – when the weather is nice, enjoying a lazy midday meal and mimosa outside on the courtyard patio while watching casual Utica Square shoppers and neighbors walking their dogs, is really hard to beat. I arrived early. Probably around 12:56. Brian casually walked in the door at approximately 1:04. I was immeasurably not offended.We were warmly greeted by Wild Fork’s manager Jeff, then escorted to the West Room. 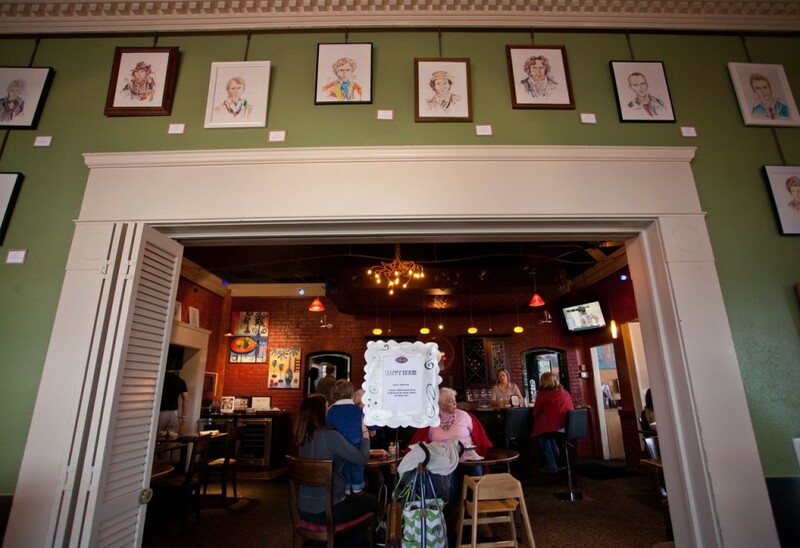 This room is a great for a private dinners (reserve it – it can handle parties up to 36 people). On this day it was full, except for one table. Lucky us. There is an East Room, a West Room and a room in the center anchored by the bar. Chelsey was there at the bar mixing and pouring. 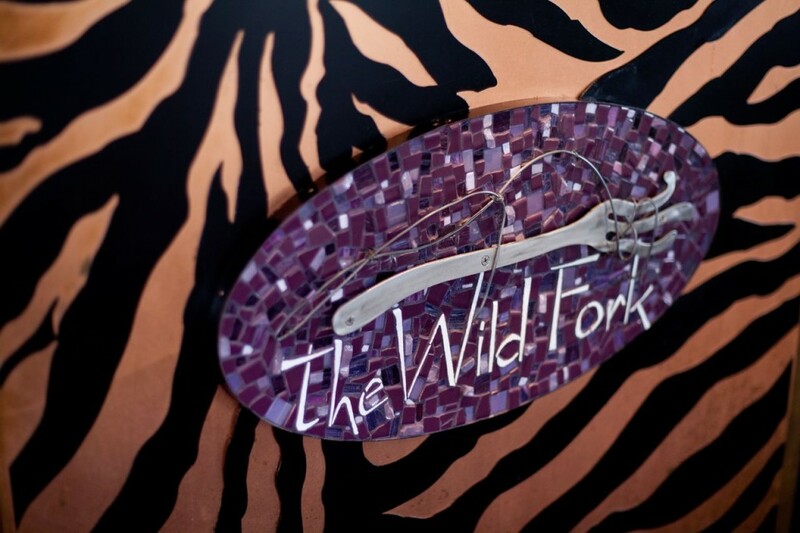 When you dine at Wild Fork, whether it’s the first time or the thousandth, take a walk around. Take in the local art and the way the place feels like you are dining in a good friends home, who happens to be a chef. And, walk around with a glass of wine – that will boost your confidence. Ok, let’s talk about food. Here’s the honest truth. Brian and I had the entire Saturday afternoon open. We were going to be there for a while so we ended up ordering a couple things we’d never had from the dinner menu. I’m going to highlight three stand out dishes. Here we go: Let’s start with the Pinot Noir Poached Pear Salad ($10.00). Greens, Roquefort cheese, walnuts and balsamic vinaigrette. Salads can be boring and this one is certainly not. 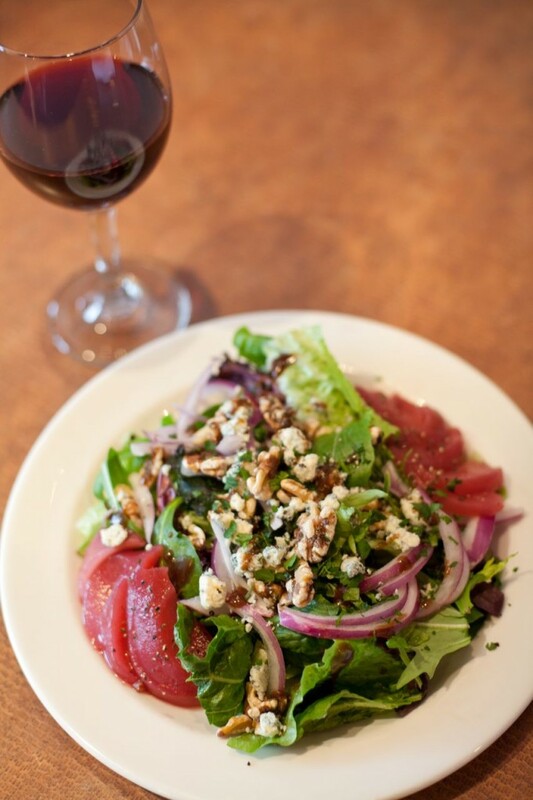 The textures and flavors of the poached pears, red onions, walnuts and fresh lettuces work very well together. 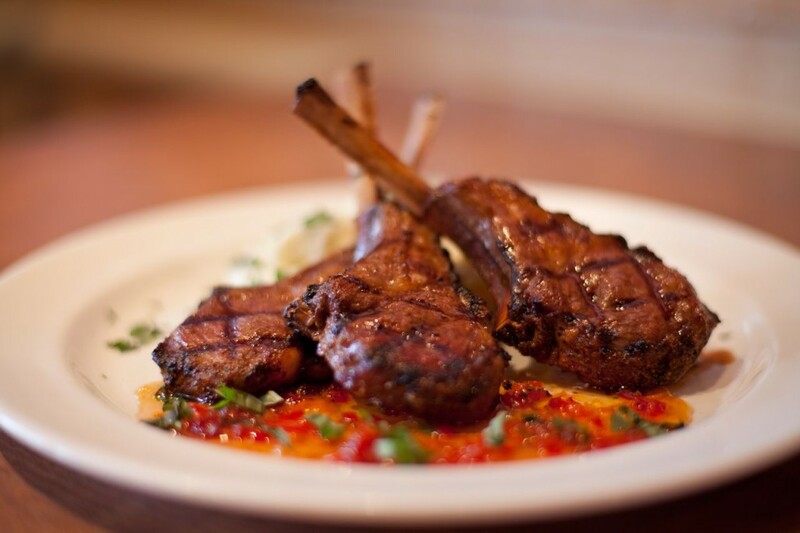 Next, the Rack of Lamb with Lemon-Garlic rub ($39.00). Lamb is my personal favorite protein so I am always curious to see what a top Tulsa restaurant does with it. Brian snatched one by the bone and went primal on it. I followed his lead and was pleased to find it a perfect medium rare. The red chili-sun dried tomato syrup is the spicy and sweet combo you would expect, but leans to the sweet side. But, the Fried Fillet of Catfish & Shrimp Etouffeé ($19.90) was the favorite dish of the day. This dish is very well conceived and will not disappoint you. 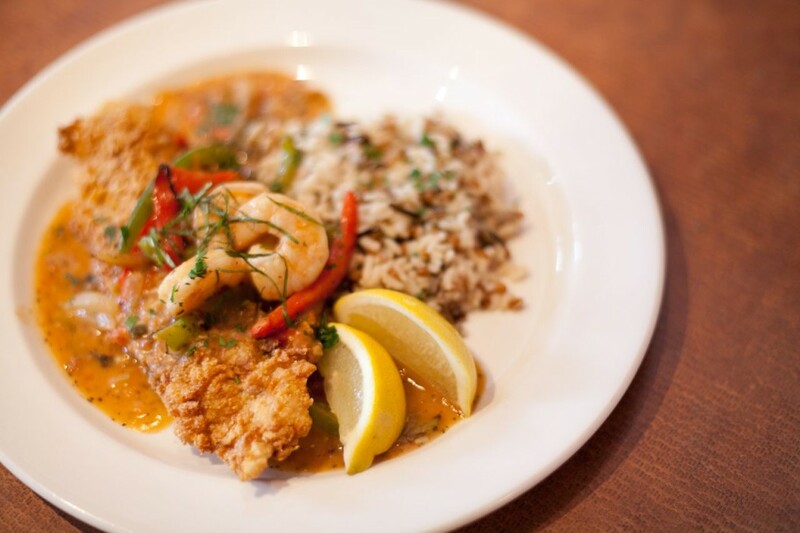 It’s not over-thought and the southern wine sauce is packed with creole flavor. This is a must order. 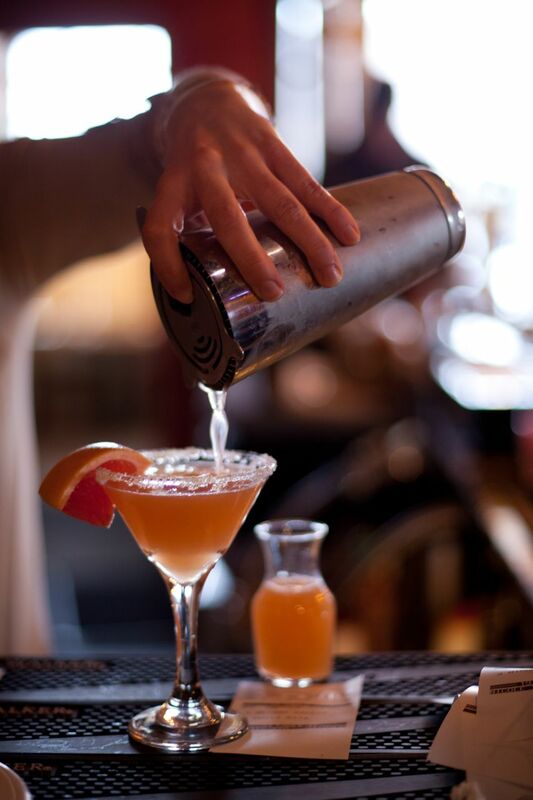 The Wild Fork has been a Tulsa staple since 1995. They are open every day for breakfast, lunch and dinner and you can check them out further at www.WildFork.com. 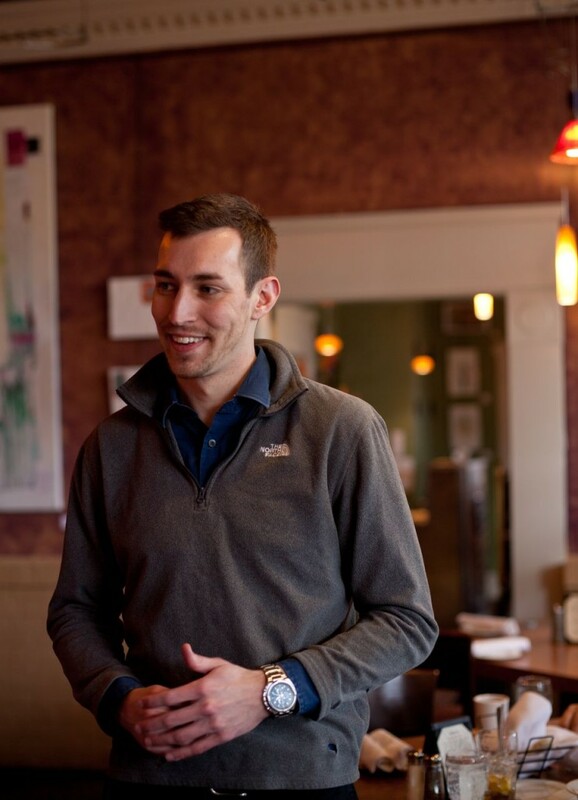 Mitch Dees graduated from Oklahoma State University with a Bachelors degree in Business Administration and has since enjoyed both the life of an entrepreneur and the opportunity to work with non-profits. Mitch is a Tulsa area native and is known in the restaurant community as the co-founder of SMOKE on Cherry Street in 2010, Owner of DineDesign, and Publisher of TulsaFood.com. He enjoys premium cigars, conversation around a table, cheese, satire, craft beer, stories of rescue, friendly wine, last second shots, and numerous other expressions of beauty. His passion is for the people, ideas, and art that define Tulsa’s identity, but specifically our city’s food and beverage culture.